I’ve been looking for cute shoes for the spring and I ordered these two flats from Target to try. 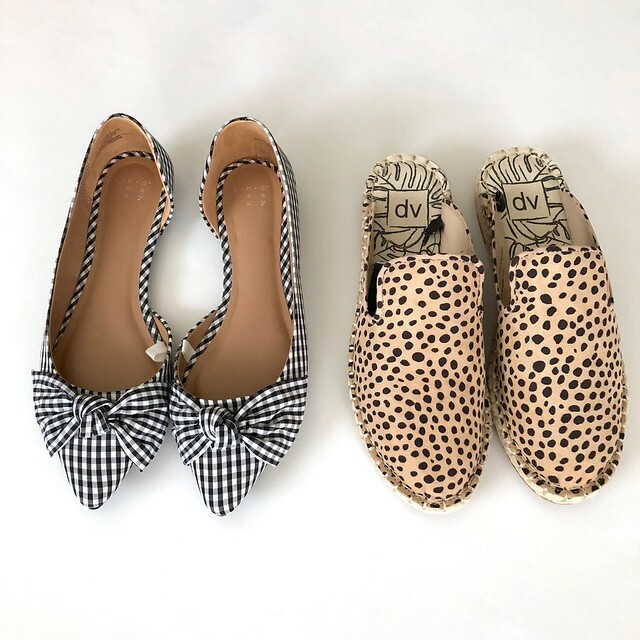 I love these gingham bow flats for spring and they’re only $22.99! 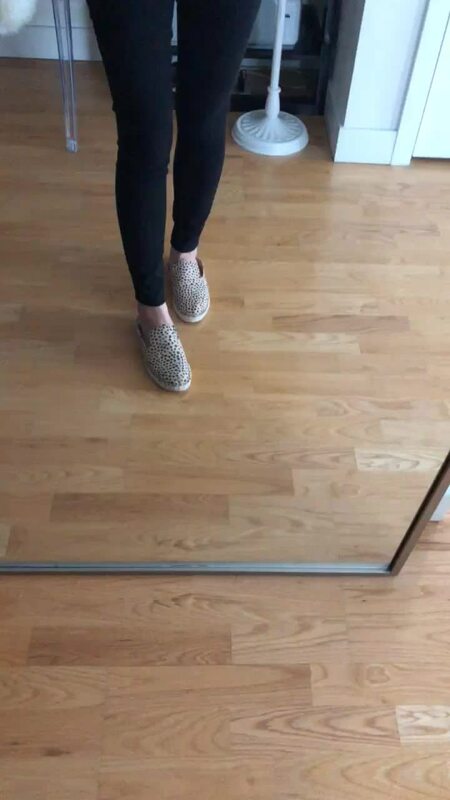 Special thanks to Lilly for enabling with her cute shoefie! They run true to size and they’re more comfortable that my previous d’orsay flats from J.Crew Factory as seen here because these do not dig into my arch. Talbots also offers a similar pair in white and blue gingham print here for a much higher price point. 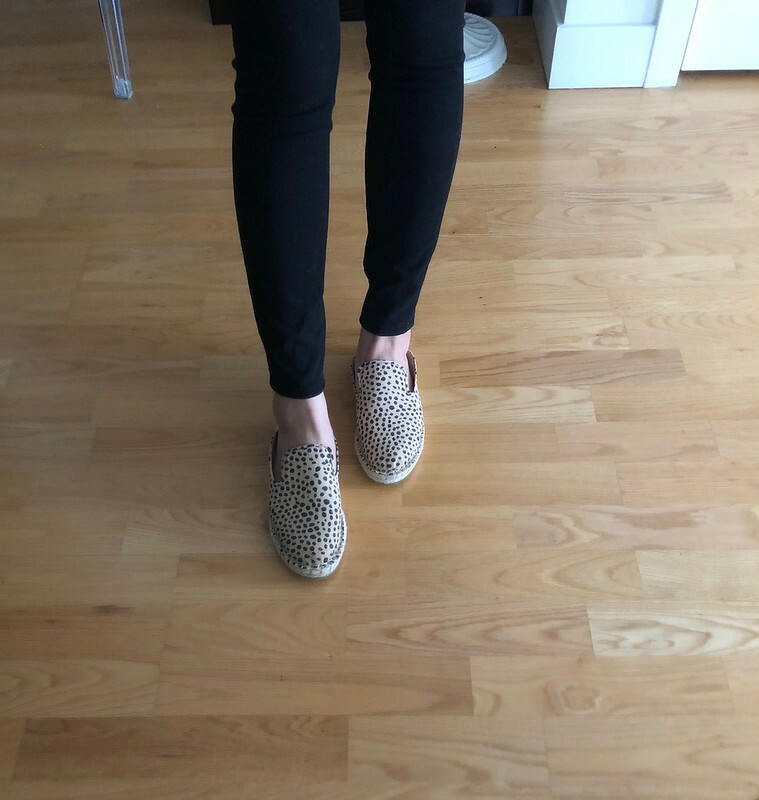 I saw these leopard print mules on a lot of blogger’s feeds including Ryann’s gorgeous flatlay. They run true to size for me and they felt very comfortable when I walked around the house in them. If you want more space at the back so that it doesn’t look like you ankles are falling off then you may want to go up half a size. I don’t think they’re my style so I’ll be returning them but they’re very comfortable and only $24.99. Saks Off Fifth also has a similar style called Bradyn in two neutral perforated solid color options on final sale for $34.97. 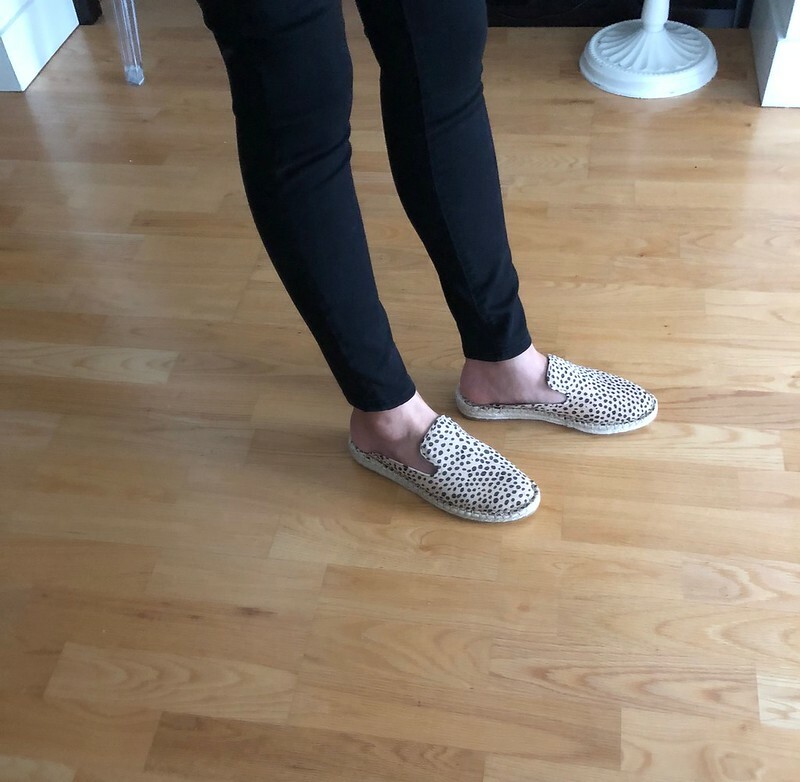 I finally got a chance to try on these popular Jisella collapsible back loafers today and I found that they run snug and a bit narrow in the front of the foot near the toe area so I would need them in a half size up for comfort. I am deciding between the Target pair and these light grey Caliya scalloped flats by Lucky Brand which also run a half size smaller. Target carries these dv Bailey slide sandals which are not available for purchase online nor available for pick up in stores near me in my size. I found that these similar Dolce Vita Paci wedge sandals run half a size bigger when I tried them on today. I ordered these Caslon Megan wedges to try in blush and stone suede since they’re currently on sale for $53.96.